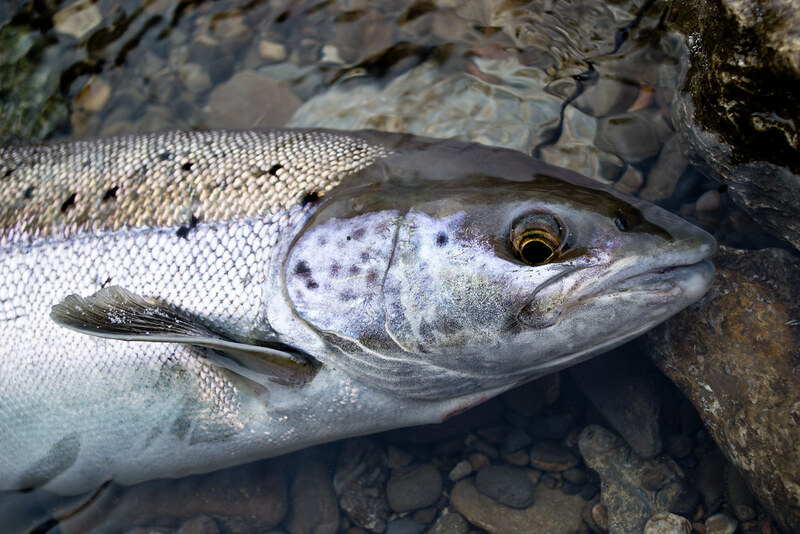 With more and more Atlantic Salmon showing up in the systems, I figured a post dedicated to Atlantic identification would be good to have so everyone can learn how to identify an Atlantic and not mistake it for a brown or something else. When you do catch one, do your best to keep it in the water, work fast and remember the limit is zero on Lake Ontario tributaries. Here is a link to the MNR site RE : Atlantic ID. 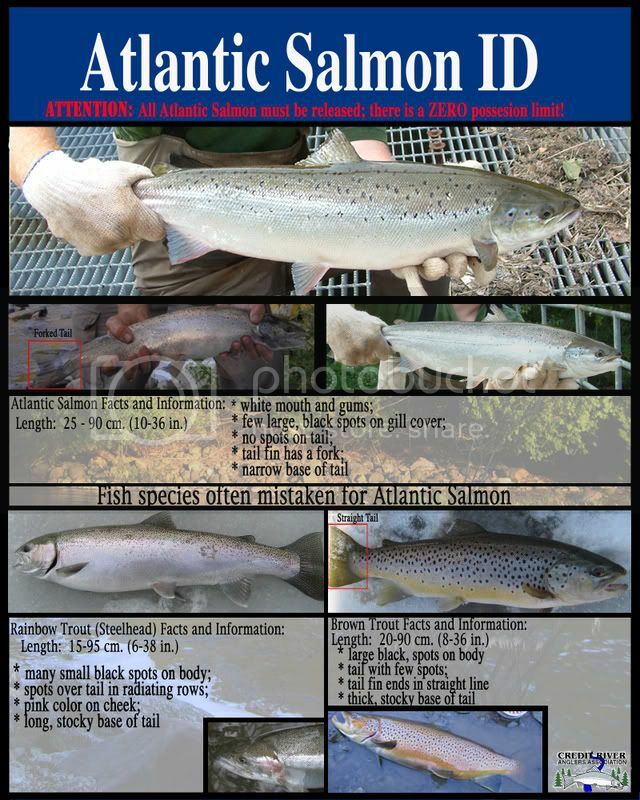 Here is the CRAA Atlantic Salmon ID poster. 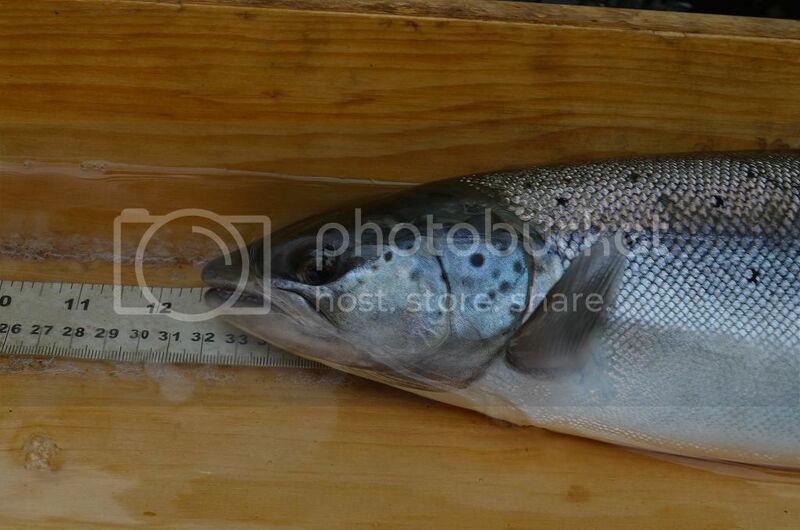 Here are two shots to help identify - note the mouth is very slender and the jaw doesn't extend past the the eye. 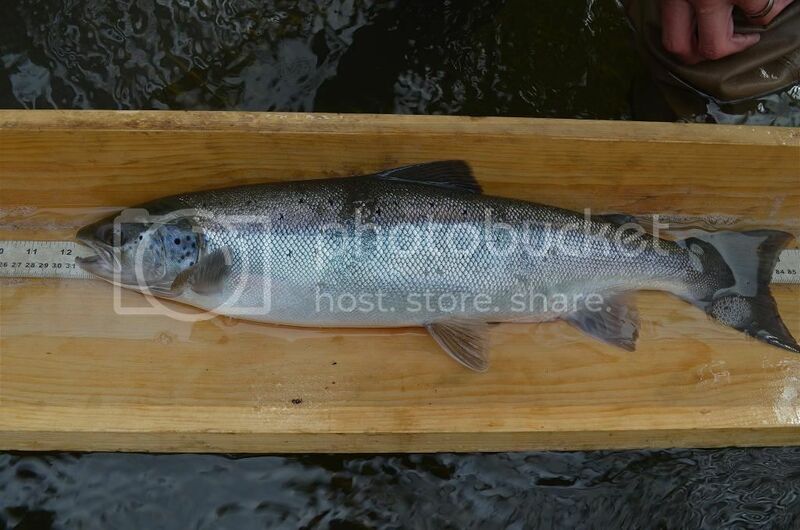 This body shot shows a couple more distinct features - no spots on a forked tail ( brown trout have square tails ) and the tailing section ( caudal peduncle ) is narrow and long. X like spotting mostly on the top half of the fish above the lateral line ( middle of the fish ) with a few spots on its face. Great post Mike, I really hope this project is successful. There is to be no discussion about the program, the stocking, the politics or anything of that nature in this post. That can be discussed in another thread. Posts will be deleted - this is meant to be an educational post, not an opinion post. 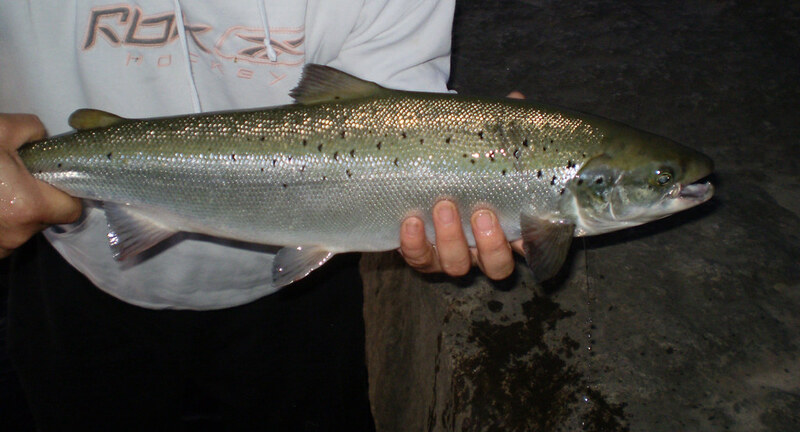 If you have pictures of Atlantics then post 'em up - or pictures of chrome browns that could be misidentified as atlantics so every gets a good idea of whats what. 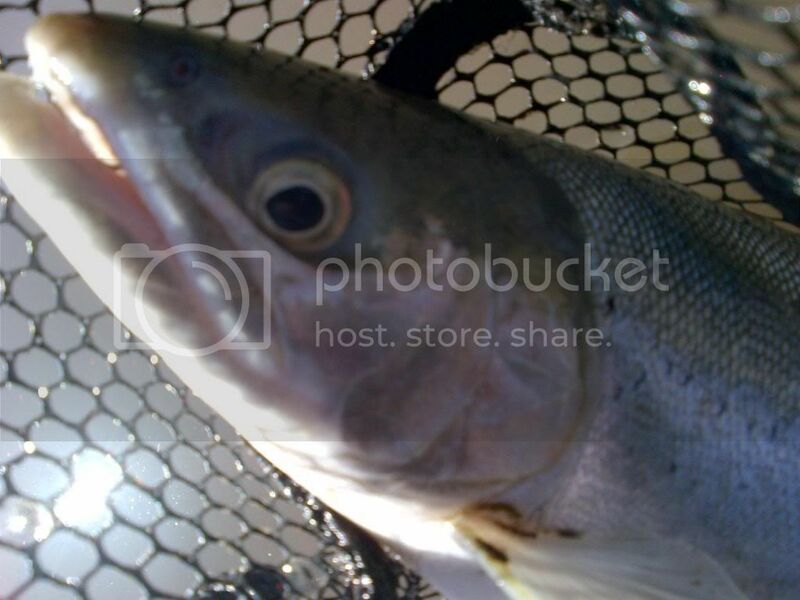 the head alone should be a give away, i find with trout and steelhead, their eyes and face have a very distinct look about them, just by looking at the eye alone in those pictures you posted you can tell its not a steel. This fish threw me for a loop. Spots on the tail show its definitely not an Atlantic but there has to be some sort of story behind the genetics of this fish. Do the Atalantics there get the maganficent coloration when spawing like I see in Quebec or elsewhere? Stunning fish, and on the bucket list. 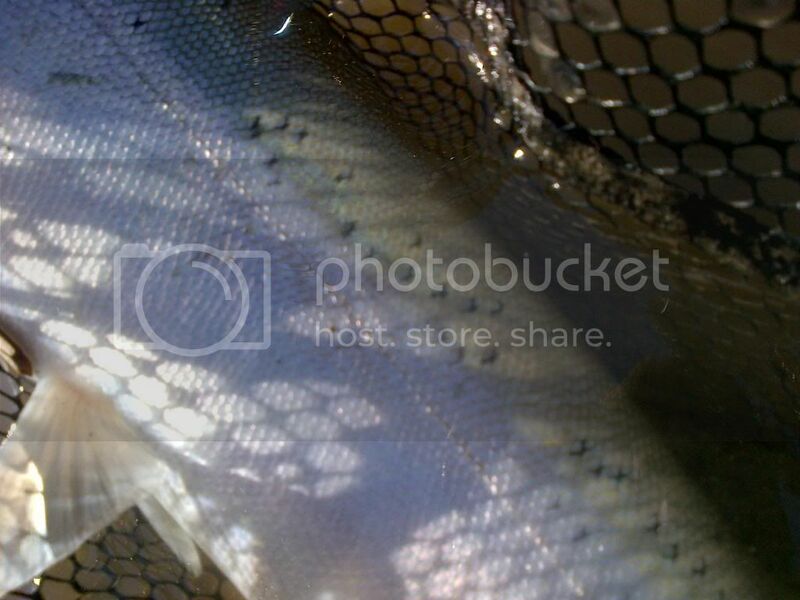 This fish through alot of people for a loop. Never did get an acctual answer, though I think Bow. 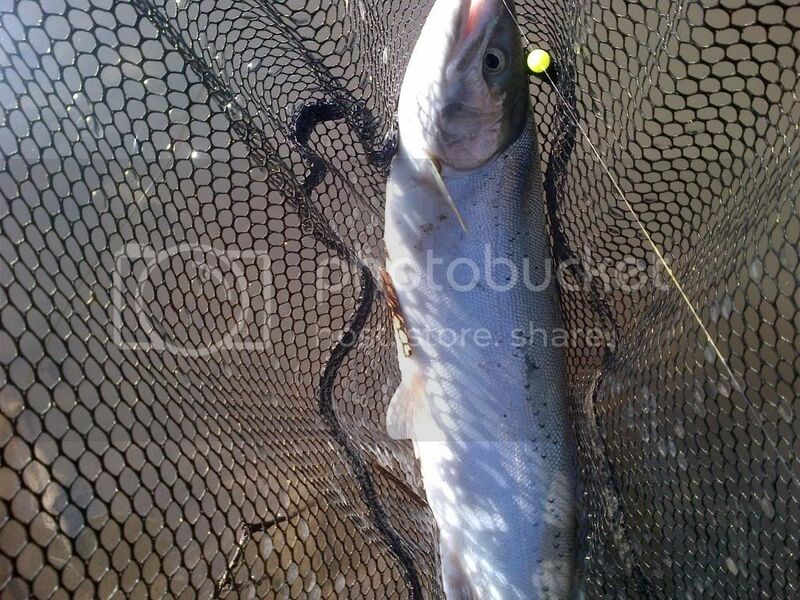 Angler thats brown no doubt in my mind. Here are a few Atlantic's i got and my buddies hooked up with. 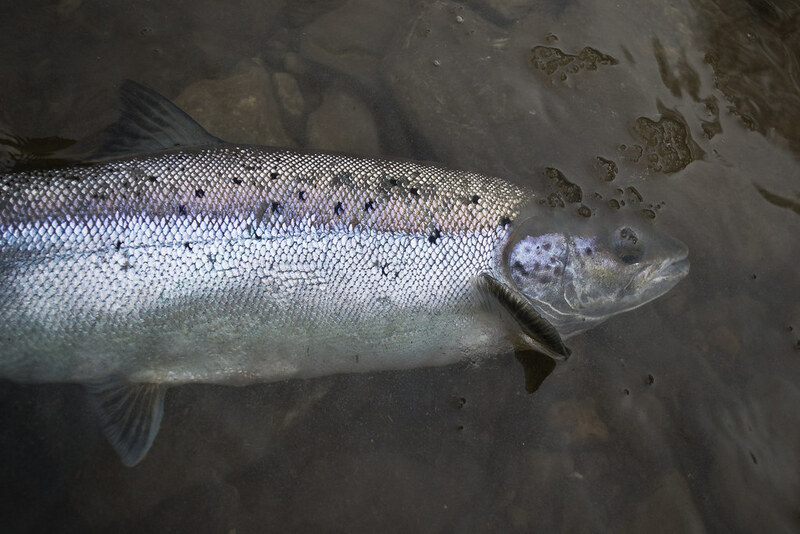 They are magnificent fish and need to treated with care if you end up catching one by accident while fishin for salmon/steelhead. If you put in as much time time as FD does you are bound to run into them. Nice ticks FD, I like! Can definitely see the difference between them. I can see how Inexperienced people could think different like me.